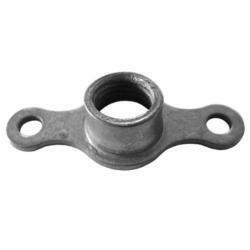 We are a leading Manufacturer of anchor nuts, gho gho nut and wing nut from Chandigarh, India. 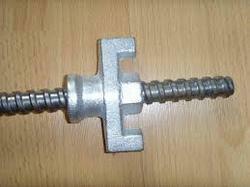 We are instrumental in offering a supreme quality range of Wing Nuts to the esteemed customers. These nuts are designed in compliance with international quality standards, under the perfect guidance of a team of professionals. In addition to this, we make sure to check the quality of these products on certain well-defined parameters so that our customers get a range of flawless products from us. 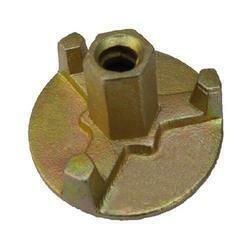 Available with us is a high-quality range of Anchor Nuts for the customers, as per their specific requirements. These nuts are manufactured using high-grade raw material, procured from the reliable sources. Moreover, the products offered by us conform to the international quality standards. In addition to this, we make sure to deliver the ordered consignments at the clients’ premises within the stipulated time frame. We are engaged in offering a wide range of Gho Gho Nuts to the customers, as per clients’ specific requirements. The entire range of nuts offered by us is highly demanded in the market for its perfect design, dimensional accuracy, and durable standards. In addition to this, we have the expertise in making prompt delivery of the ordered consignments at the clients’ end.